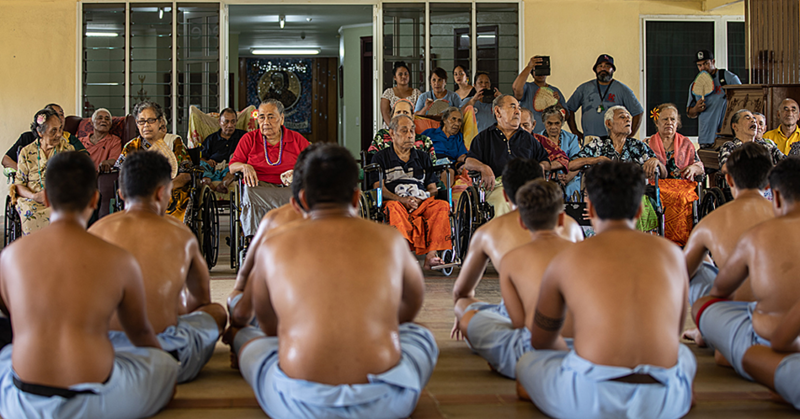 The relationship between the fa’asamoa and family violence is one explored in depth by the Inquiry, which found the fa’asamoa is simultaneously used to justify family violence and fails to protect people from violence. “This situation needs to be reversed – the justification of family violence using Fa’asamoa eradicated and the protection mechanisms re-established. 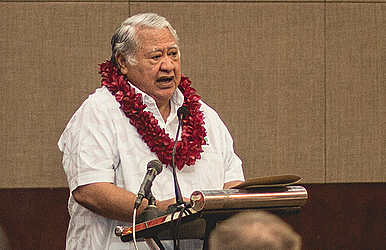 Ombudsman and the Chairman of the Inquiry, Maiava Iulai Toma, said for Samoa to end the cycle of violence, everyone will need to undergo a process of self-education and self-discovery. “I too am new to this, but I have come to realise we cannot continue to ignore inequalities,” he said. He further adds, the Government, the Village Fono, churches, parents, may see the findings and recommendations of the report as ceding authority, but this is not the case. In embracing the proposed societal, political and religious reforms, everybody in Samoa will further be empowered. Research towards the report began in December 2016, and has been a process of consultations, village meetings, data driven research written submissions and more. The Inquiry focuses on identifying who is most vulnerable to family violence and why, goes on to explore the impact of family violence, and possible solutions going forward and was conducted through a cultural and religious lens with an aim to find Samoan solutions to the problem of family violence. Among many recommendations, the report suggests a centralised coordinated approach is needed to address such a multifaceted problem, with an Office for Family Violence under the Ministry for Women, Community and Social Development to link up existing programs and coordinate a future strategy towards making Samoa free of violence. “The only solution is for a complete rejection of family violence and the key message of the Office of Family Violence Prevention should be one of zero tolerance,” the report states. During the Inquiry, the Commissioners outlined the ways the Village Fono (Council) play a role in enabling family violence, and suggested they could actually do the opposite. The report suggests a Violence Free Village Programme where the village council would develop zero tolerance policies and be rated by a scorecard for their compliance with prevention guidelines based on the inquiry. Compilation of the report was supported by UN Women, United Nations Development Programme (U.N.D.P. ), Asia Pacific Forum for National Human Rights Institutions (A.P.F.) and the Commonwealth Secretariat. “We thank our partners, without whom the Inquiry and Report would not have been made possible. Their support and technical assistance throughout this project further reaffirms their commitment to the protection of women, girls and children of Samoa from family violence and promotion of their human rights,” said Maiava . In a statement, Loukinikini Vili, Director of Human Rights at the Office of the Ombudsman/N.H.R.I., said that throughout the Inquiry it became increasingly apparent that family violence in some form has become an accepted part of life in Samoa. “It is something which is inevitable, tolerated or simply goes unnoticed. This in itself is a significant barrier to both reporting family violence and contributes to an ever worsening cycle of violence at a societal level,” said Ms. Vili. The Report acknowledges greatly that changes to existing attitudes of our people and established practices will have to be made but in a society which values the collective above all else, this should be welcomed with open arms. During the National Inquiry, which was open to the public, testimonies from stakeholders and survivors of violence against women and girls were heard over a three-weeks. “I want you to know that you are not broken, you are not worthless, and you are not to blame,” said a survivor of child abuse during her powerful testimony at the Inquiry. “The Report’s findings amplify to the broader public many of the existing – and some new - challenges ahead for Samoa to reduce its levels of violence against women and girls,” said Ms. Vili.